New Prebuilt Robots at SuperDroid Robots ~ Top Five Robot Pics Fan Favorites! Our robot technicians are busy this summer building awesome bots. These prebuilt robots are assembled, tested, and ready to ship! 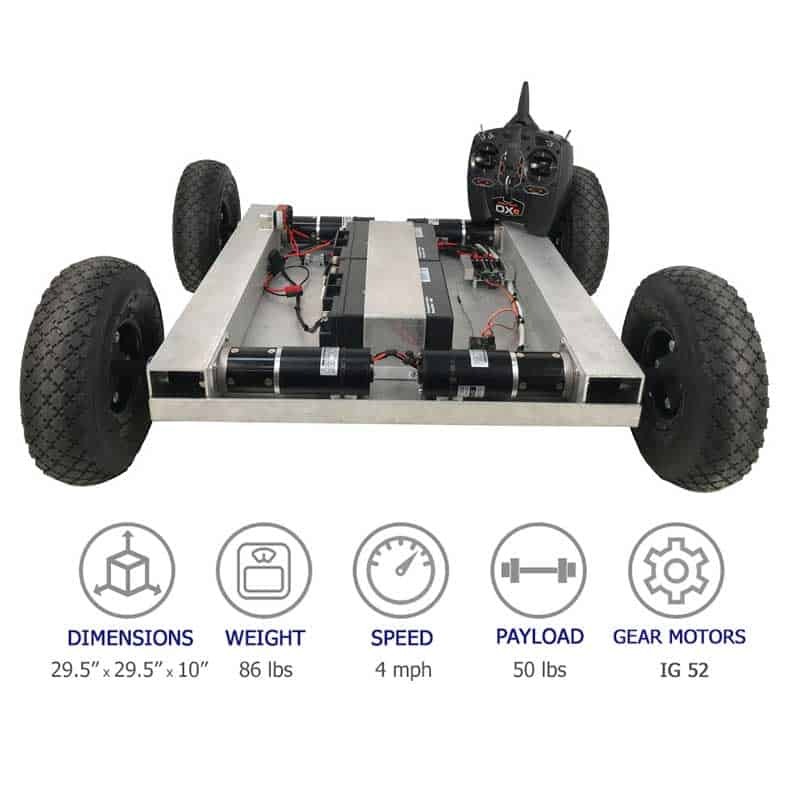 SOLD Updated 11/21/18 We are currently sold out of this model, SST2 Robot Platform to order an SST2 Robot. The SST2 Robot is a great starter robot for new robotic enthuasists. This is our smallest tracked platform robot that only weighs 3 pounds! The MLT-JR Robot is one of our most requested small platform tracked robots. This is the first MLT-JR painted with Tactical Tan textured paint. SOLD Updated 11/21/18 We are currently sold out of this model, MLT-42-F Robot Platform to order an MLT-42-F Robot. The MLT-42-F Robot delivers power and performance with IG52 gear motors and flipper arms! Larger tracks and chassis than the MLT-JR, this robot can lift up and climb over obstacles and travel most types of terrain. SOLD Updated 11/21/18 We are currently sold out of this model, IG52-SB4-T, 4WD ATR with 10″ Pneumatic Tires and Custom Length to order this model. 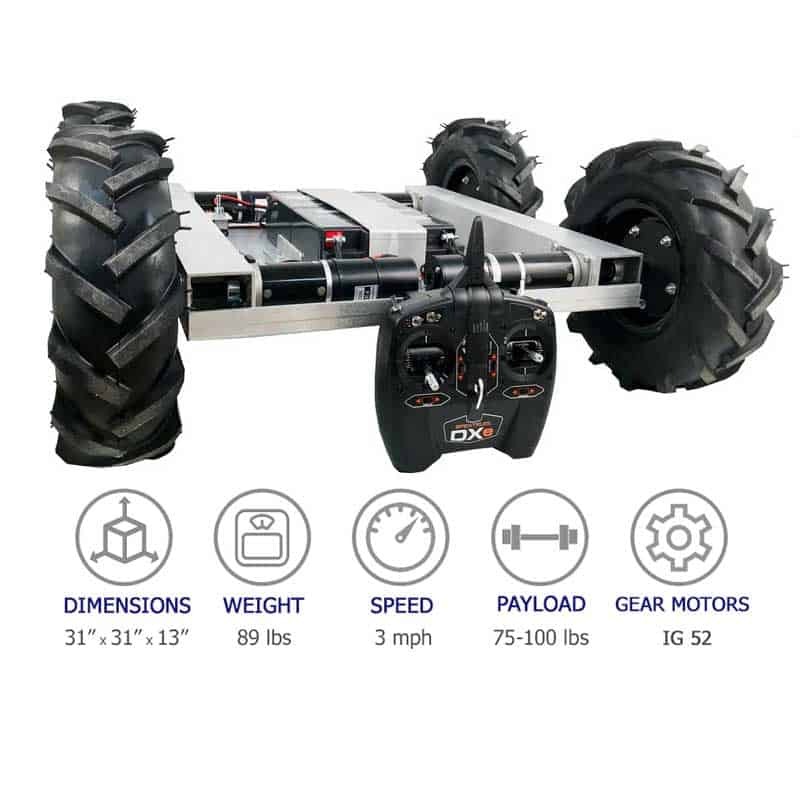 The 4WD IG52 Robot is a high-performance 4 wheel drive robot that delivers speed and performance. Use it for fun or to carry an additional 50 pound payload! 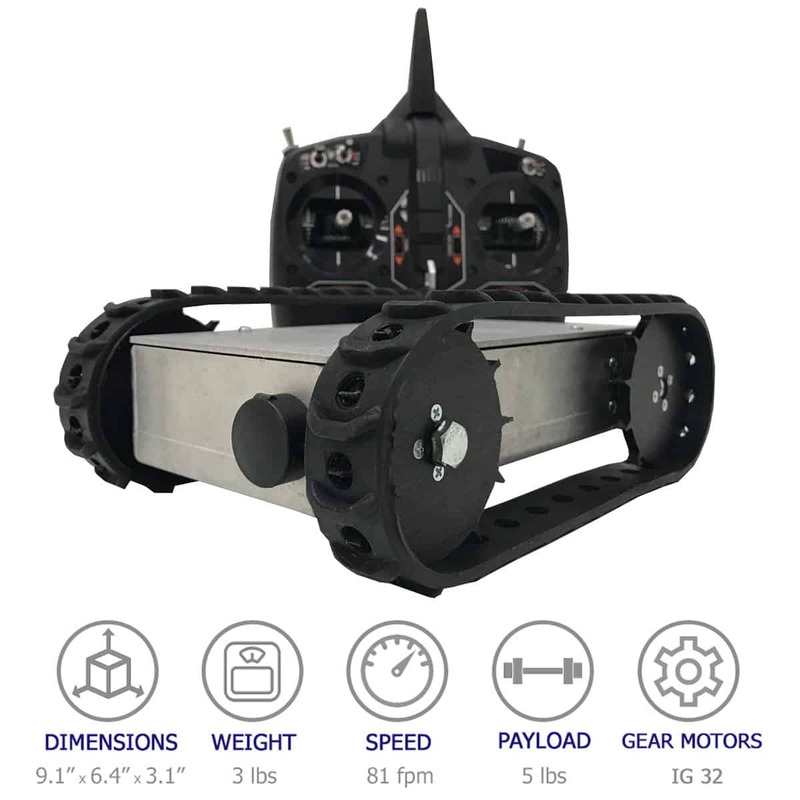 The 4WD IG52 Robot is the most requested 4WD robot. The rugged 13 inch tiller tires will handle most terrains. This powerful robot can support an additional 75-100 pound payload!